Last week right on schedule Apple made their Fall reveal of their new iPhone lineup, which include the iPhone XR, XS and their and their top tier option the iPhone XS Max ( $1099 start price,ouch). Nothing more but incremental changes to design and hardware which was expected, but under the hood of these devices, the hardware, one in particular, the A12 Bionic processor is what made headlines at the Apple event. The processor should be familiar to iPhone X users. Apple introduced A11 Bionic chip right alongside Facial ID last year. The A11 chip critical feature is the performance controller which is capable of running six cores simultaneously under heavy workloads. Fast forward to 2018; Apple upgrades their new iPhone line with an A12 Bionic processor. Apple states it is first in the industry to use a 7nm processor. They also claimed in quote: " its the smartest, most powerful chip ever in a smartphone." In observing the latest benchmark numbers, there may be some validity to their claim as the processor has six-cores ( two performance cores and four efficiency cores, a four-core GPU, making it 50 percent faster than the A11 chip, there's also an updated Neural Engine. They also mentioned that a small portion of the processor is designed to handle AI tasks. 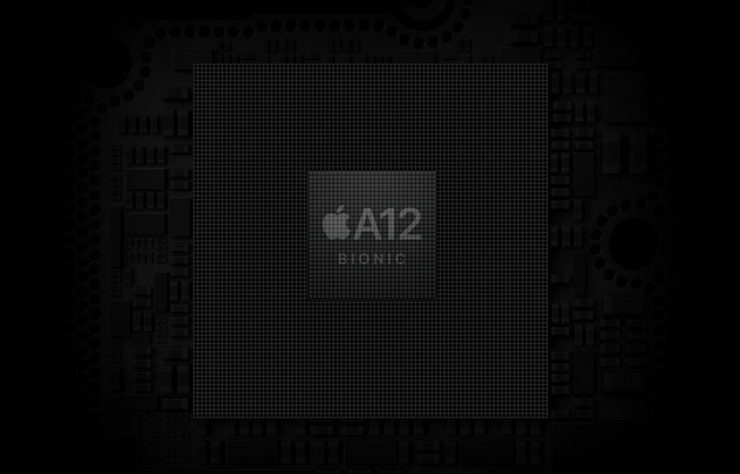 The A12 Bionic chip is basically beefed-up variant in comparison to the A11 processor; its Neural Engine had two cores, compared to the new processors Neural Engine which have up to eight cores. The old Neural Engine can handle up to 600 billion operations per second, while the new version is capable of handling 5 trillion operations per second. In looking at the GPU up close, Apple didn't provide much information on the actual architecture, except what I do know is the hardware is also customized by the company. Finally, we have the precision 16 bit makes incorporated into the A12 chip. Apple started implementing the 16-bit value after the A8 chip and its also integrated into the A12's Neural Engine. It allows operations to performed rapidly and at the same time save power. But this all in theory, how it holds up in real time usage remains to be seen. Question, how long before we'll see similar type processors such as the A12 Bionic make its way to Apple's line of Macs? Plans are in the works to incorporate ARM-64 processing into their ultrabook line of laptops Bucking the trend that emphasis should be on performance and power consumption, less on speed and power.